Leaving Fed head Janet Yellen and her goon Stanley Fischer in power would be “the height of folly,” thundered David Stockman after Trump’s election. If the bubble bursts, so be it, David wagged. Purge the system now, get it over with, have done… and rebuild American capitalism atop a foundation of granite. It might be root canal in the short term, the pain acute. But it would be a dim memory by the time Trump’s up for re-election in four years and America’s Great Again. Well… Jan. 20 came and went. No resignations. It’s now Jan. 25. Still no resignations. And we hate to break it to David — he means the best in the world, he really does — but there won’t be any resignations tomorrow or the next day. Trump tapped former Goldman guy Steve Mnuchin for Treasury secretary. Mnuchin was asked about the Fed’s independence at his Senate confirmation hearing last week. Recall that candidate Trump accused Janet Yellen of keeping interest rates nailed to the floor to help elect Hillary. He essentially laughed off the Fed’s claim as an independent institution. 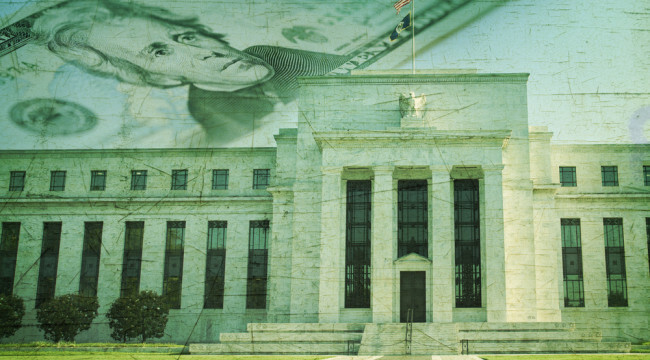 The Federal Reserve is organized with sufficient independence to conduct monetary policy and open market operations. I endorse the increased transparency we have seen from the Federal Reserve Board over recent years. “He does not want to make waves at this stage,” explained Lou Crandall, chief economist at Wrightson ICAP. “He seems to be OK with the status quo,” adds Jeff Hauser of the Center for Economic and Policy Research in Washington. “I think it will be very tough to change very much,” argues Paul Mortimer-Lee, economist at BNP Paribas. But we admit it… we take a dim view of most “reform” anyway. It’s an ax that rarely strikes the root. And intentionally so. It’s designed to miss. For a more fitting analogy we seek in vain. But we file this one caveat: The whorehouse, for all its sin, at least does an honest trade. Can the same be said for the Federal Reserve? Its very business is false. It manipulates interest rates that send false signals to markets. And so it inflates bubble after bubble. The latest one just floated past 20,000 today — the second-largest bubble of the past 100 years, as we showed yesterday. The largest bubble was another Fed-inflated whopper — the tech boom of that late ’90s. It finally got a good hard dose of truth in 2000. The housing bubble, another Fed doozie, got its own in 2007–08. When will this one get its own dose of truth? And how big? The truth sometimes hurts, you know. If it’s reform you want, a modest proposal: No more setting, influencing or in any way monkeying short-term interest rates, long-term interest rates or any other interest rates. Let the market find its own level. High, low, wherever, and the devil takes the hindmost. Return the Fed to its original purpose of providing liquidity to otherwise solvent banks in case of financial crisis. No “price stability,” no “full employment,” no more rigging markets. Or… if it’s you real reform you want, we offer this humble suggestion: Reform the whole thing out of existence and start from scratch with something honest.